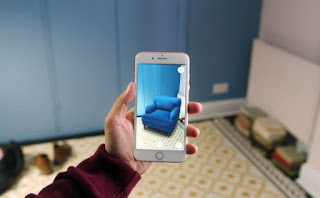 The Augmented Reality opens doors that until now we could only see in movies: interacting with an image that is really only on our phone has multiple uses as we have already taught , although as a rule it is associated with the world of video games . Let's leave the image of games, cars and Pokémon aside, and let's be more ambitious: How can this technology help us? It seems that the people of IKEA have been thinking about it, and that is why they are developing an application that will be the successor of the tedious instruction manual. Far are the times where we could see holograms in the movies, which showed us a utopian future about their particular vision of Augmented Reality. Today we have been able to see how, after years of development and innovation, more and more companies are betting on this type of technology , that although today is still a minority, the visible efforts of companies like Apple to do more accessible the development of these applications will end up paying off. This application in particular gives us a great and descriptive way of how to assemble a piece of furniture , and it is a good sign to imitate everything that comes along the way : with the years and more refined versions of this technology, it will end up being as present as it is. today the camera itself of our smartphone. For the moment, we have already seen that, little by little, this type of applications are integrated into our lives , looking to do tasks that until not too little ago were a real tedium, something much simpler, and why not say it, Entertaining: Who would not want to try their skills as a Swedish furniture assembler with this tool in your pocket? I, at least, hope that it is ready for my next move, because I intend to give it more than good use .